Medium: The undergarment is a tank top with an America flag logo. I covered the tank top with a used a fatigue jacket that I painted with white paint. 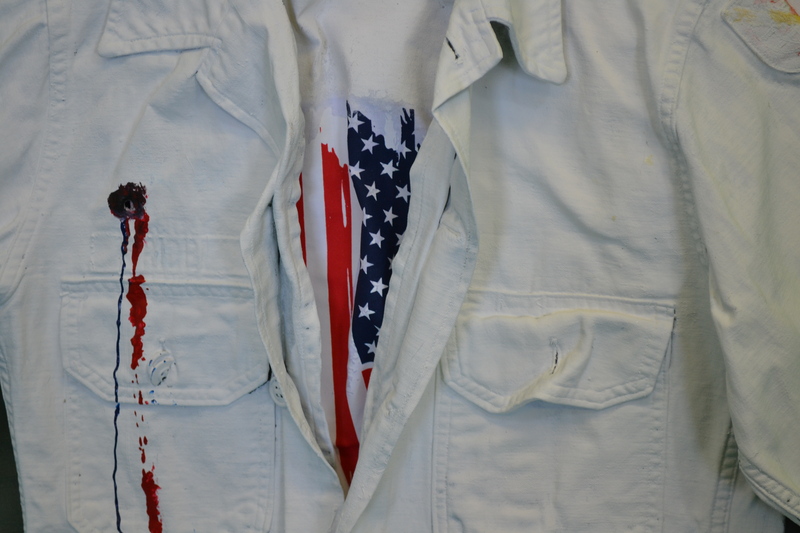 A hole was punched through the garment to resemble a bullet hole, and red, white, and blue paint was dripped from the bullet hole. Description: “Bleeding Red, White, and Blue” was inspired by my experiences as a medic, and perceptions of combat wounds. The oft used expression is used to denote patriotism, but the reality of war is that each soldier regardless of uniform bleeds the same color.